Attractants are only as good as the distance deer can smell them. 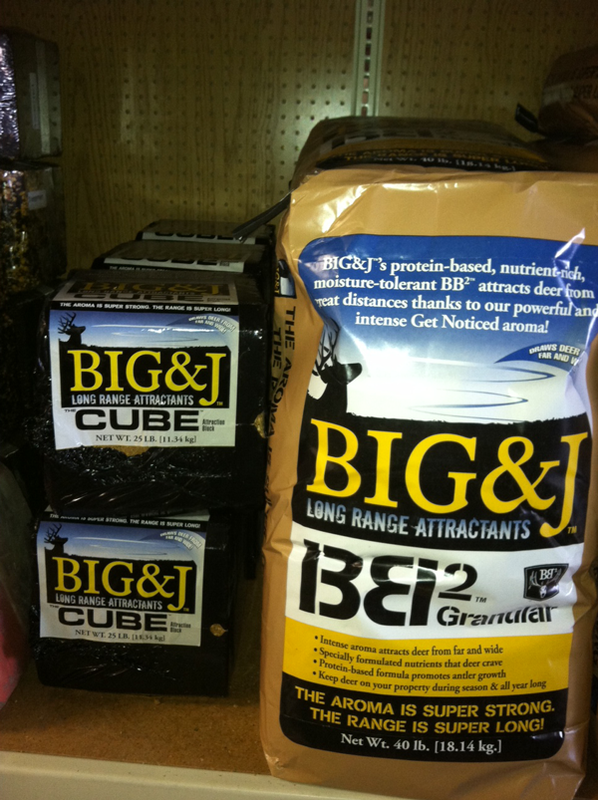 BB2™ Granular from Big & J is a long range attractant. BB2™ Granular utilizes a proprietary refining process to make a nutrient–rich, protein–based formula that has an intense aroma that will attract more deer from further away. This allows you to compete with neighbors who have food plots and bait sites. Deer crave the nutrient–rich formula so they keep coming back. And, the protein promotes antler growth. BB2™ also comes in handy during preseason to establish travel patterns and acclimate deer to your area, as well as during the season to attract deer to your property and/or stand site. It’s also ideal for attracting deer to camera sites. 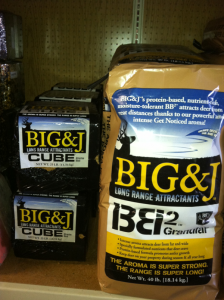 BB2™ is available in 40 lb bag or a 25-pound attraction block. Stop by J&N Feed and Seed and pick up all your feeding supplies. This entry was posted on Thursday, September 26th, 2013 at 6:39 pm	and is filed under News & Updates, Wildlife, Deer. You can follow any responses to this entry through the RSS 2.0 feed. Both comments and pings are currently closed.